Sustainable products provide benefits to the population without diminishing public health or any segment of the environment during the product life cycle, from accumulation of the raw materials to the final disposal of all the parts. Citizens worldwide are becoming more conscious of the need to consider, acquire and use products that are environmentally sustainable. Products have been withdrawn and sales lost in recent years due to some identifiable environmental harmfulness. As a result, manufacturers are becoming more proactive to the concept of sustainability as it applies to the acquisition of raw materials, production emissions and the final fabrication of their products. Simply put, sustainability is leaving the world in a condition that allows future generations to be able to meet their own needs. Pollution of the atmosphere, depletion of natural resources and contamination or reduction of our water supply is not sustainable and will compromise the ability of future generations to live normal lives. In the field of transportation, three notable companies have actively pursued objectives to contribute to global sustainability with highly innovative products. In 2008 Ford proposed an initiative to increase the use of natural and recycled materials in the construction of their cars and trucks. That year, Ford management mandated that 25% of upholstery fabrics should be made from recycled materials. As a result, many Ford vehicles today incorporate seating and padding that is produced from 100% recycled or other natural, sustainable materials. Working closely with their fabric suppliers around the world, Ford utilizes recycled-content fabrics from a wide range of sources, underlining the fact that changing fuel types and consumption are not the only ways to support a cleaner environment. Fabrics for seats, headliners and carpets are made from discarded yarn, soybeans, plastic bottles and even post-consumer jeans and nylons. According to Ford, almost 300 parts for their vehicle line are derived from soybeans, cotton, flax, jute, natural rubber and wood. In 2011, Ford began implementing a program to introduce seat foam made with soy oil to reduce dependency on petroleum and reduce CO2 emissions during the process. Porous Pave provides durable, long-lasting driving, parking and walking surfaces which allow moisture to pass through naturally rather than accumulate and runoff into sewers, retention ponds and other unnatural drainage areas. As a further sustainable benefit, Porous Pave is produced from recycled tires, aggregate and a special urethane that imparts flexibility. A major advantage to the use of Porous Pave is the developer's costs savings of not having to build the usual drainage infrastructure of sewers and catch basins that goes with petroleum–based paving materials. And areas along the sides of the pavement will not be subject to resulting erosion since water passes directly through the Porous Pave areas. Pushing the sustainability of new or replacement parking and driving surfaces to the next level, application of BioStripe® Marking Paint, the first water-borne marking paint, is a breakthrough solution for sustainability. 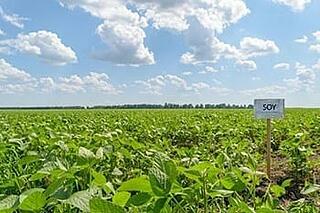 Produced from natural soybean oil, BioStripe® is a USDA-certified bio-based product with excellent durability. And the product can be applied using the same equipment and techniques as other waterborne marking paints. Most importantly, BioStripe® is sustainable without the same environmentally harmful features of competing petroleum-based striping paints. The product is low VOC (volatile organic compounds) and can be used on most surfaces. Many sustainability-conscious organizations, parks departments and schools are implementing the use of BioStripe® for parking lot marking. Eliminating the long-term negative effects of environmentally unsafe products demonstrates BioStripe®'s true commitment to global sustainability. Do you have any next-level sustainable products to add to the list above? Please share your thoughts with us in the comments below!